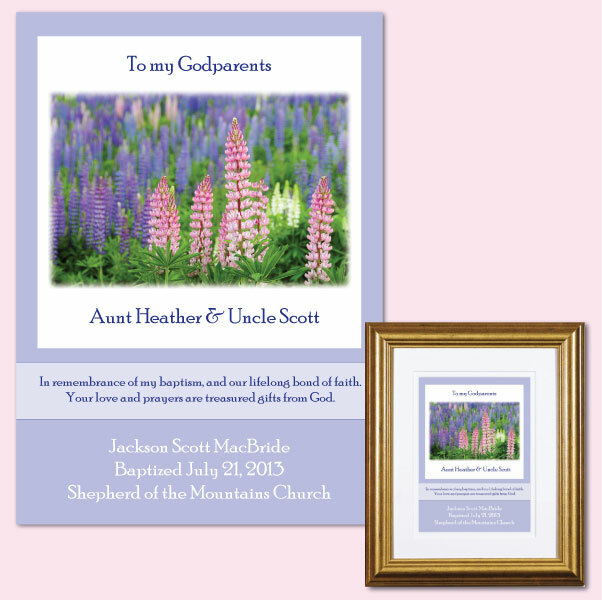 Personalized Keepsake for Godparents – New! The spiritual bond between Godparents and Godchild is special. Celebrate it with a personalized memento that commemorates baptism day and that cherished relationship! This is our newest design; it’ll be joining the rest of the collection in the store this week. Realizing that not all Godparents are couples, we’ve got plaques for Godmother and Godfather, too.